“You can count on the fingers of one hand the number of singers who can give convincing, persuasive, and idiomatic performances of the range of repertoire encompassed on these two discs. The celebrated American soprano Eleanor Steber (1914-1990) could easily manage all of this, plus persuasive performances as Desdemona in Verdi’s OTELLO, Marie in Berg’s WOZZECK, and Minnie in Puccini’s LA FANCIULLA DEL WEST. She was also responsible for commissioning one of the most important vocal works composed in mid-twentieth century America, Barber’s ‘Knoxville: Summer of 1915’, of which she made the premiere recording. What astonishes as one listens to these two live-performance recordings is that sense of complete comfort with the bel canto line of Bellini, the delicate filigree of Charpentier’s LOUISE, the force of Strauss’ music for the Empress in DIE FRAU OHNE SCHATTEN, and her mastery of coloratura, including a superb trill at the end of ‘Qui la voce’. The Empress’ monologues from DIE FRAU OHNE SCHATTEN were specialties that Steber sang frequently in her recitals. The difficult leaps in this music, encompassing the challenge of retaining an attractive sound while moving the voice all over the place, has to my mind never been mastered more fully than Steber does. The Met’s general manager Rudolf Bing, who always seemed to be more interested in proving that he was in charge than in making the most artistically appropriate decisions, did not treat Steber well (though on one notable occasion when he had a casting crisis, she came back to save him with an emergency performance in LA FANCIULLA DEL WEST [OP3217] which she had never sung at the Met, despite a 1954 triumph in that role in Florence). 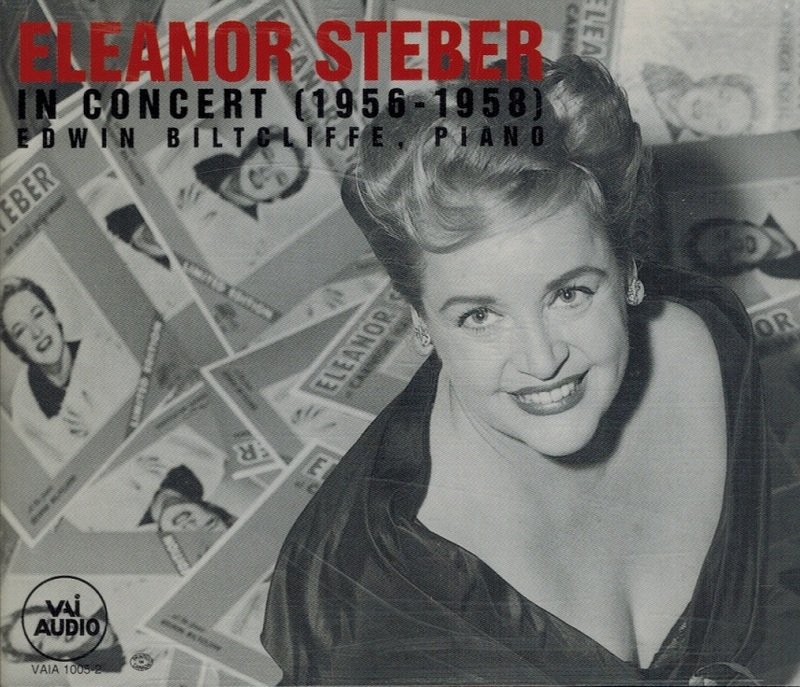 Bing’s mistreatment, along with Steber’s lack of a major-label recording contract, has led a younger generation of opera lovers to be largely unfamiliar with her. 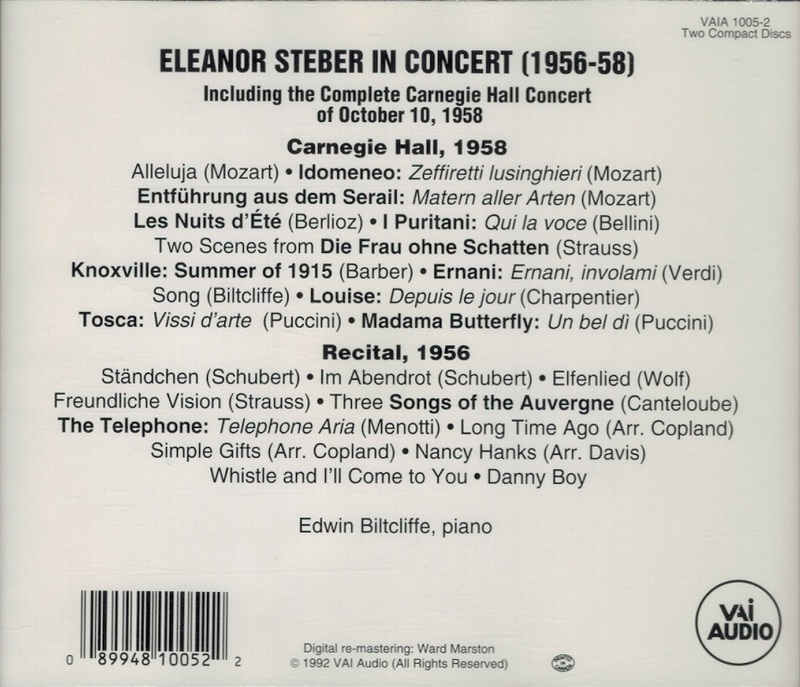 I had the privilege of hearing Steber a few times at the Met, and once as Leonora in a concert version of IL TROVATORE given at Lewisohn Stadium, where she sang gloriously despite having to put up with Kurt Baum’s wandering sense of pitch and rhythm as Manrico. Everything that defines great singing is present on these two discs: impeccable intonation, flawless rhythm, beautiful tone even from top to bottom, seamless legato, force of personality, variety of vocal color appropriate to the text, and crisp diction. Some items might surprise even the experienced listener. 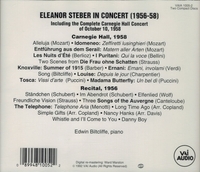 Steber made her reputation to a large degree in Mozart, so the stylistic and technical comfort she displays in the three Mozart selections are no surprise. But many not expect the stylistic rightness of the Puccini choices, or the appropriate scaling down of her resources for German Lieder. Perhaps the loveliest discovery are the three 'Songs of the Auvergne'. I should have been prepared for them after the Charpentier, but I was still not anticipating the lightening of tone and the elegance of line she etches in the Canteloube. The hushed beauty of the 'Berceuse' will catch your breath, despite an audience member (at least I hope it was an audience member and not Steber) coughing at the end. Everything here feels like a wonderful discovery, in fact, which will be true even if you think you’ve heard 'Danny Boy' enough in your life. The folksong setting of 'Nancy Hanks' is a tribute to the woman who helped found the National Endowment for the Arts.